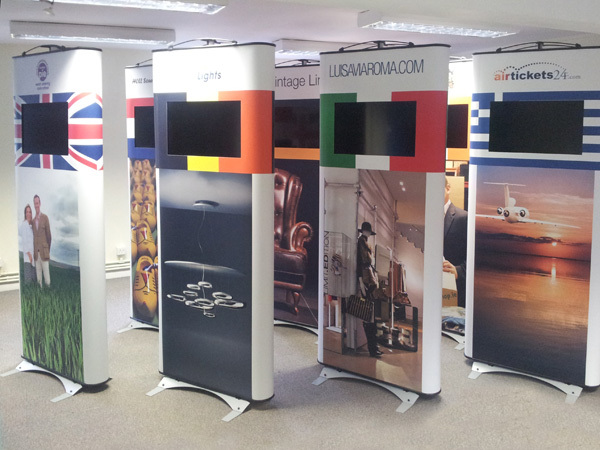 When Google needed a portable, multi-unit display system they turned to FlexesStand. 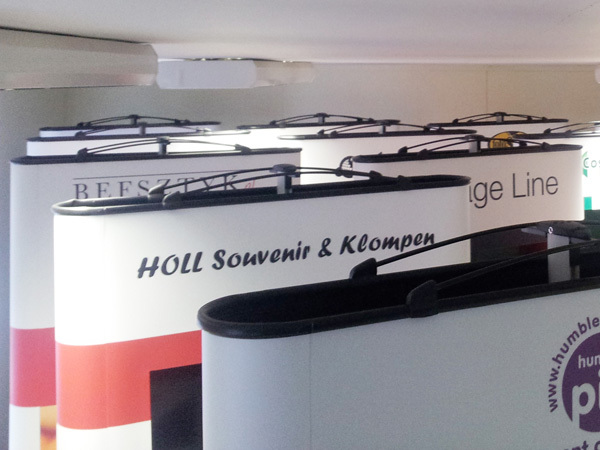 The displays had to look great, be easily assembled and be capable of presenting multimedia. 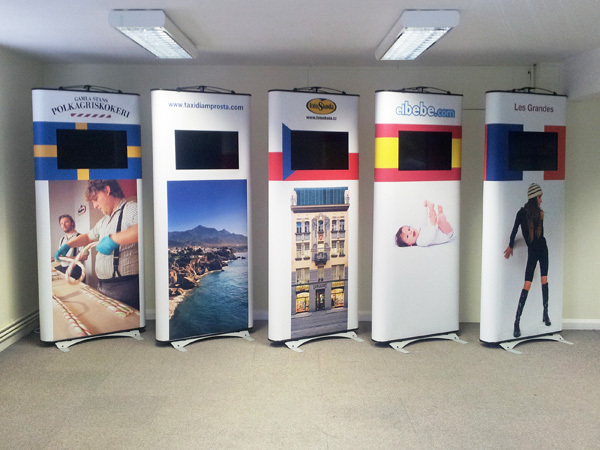 The answer was innovative FlexeStand Multi-sided Kits with integrated screens. 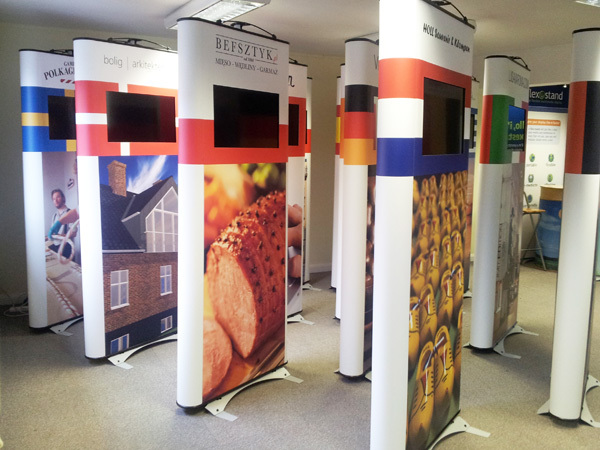 Ultra transportable and fast to erect, its easy to see why these all-sided towers are so popular for events and point of sale. Consisting of just a handful of components these FlexeStand kits are not only quick to set up but also incredibly simple. They create impact just by being different from the run-of-the-mill alternatives. 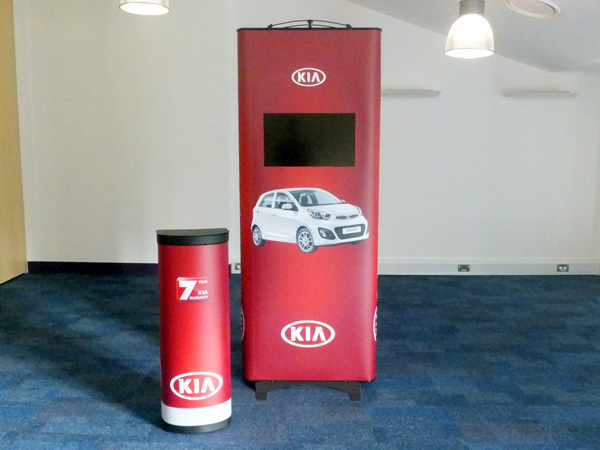 Flush fitting 28" screens play content simply from a USB stick. 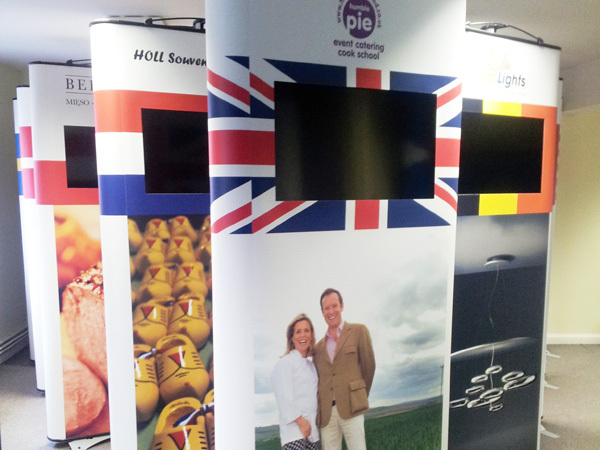 Assembled in less time than a plain pop-up stand these towers make set-up and take-down for events fast and easy.